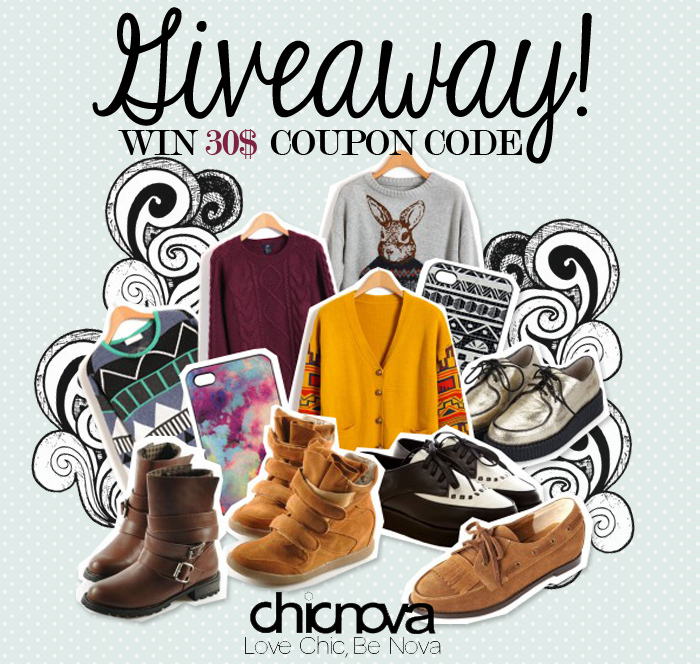 Please register to the site at www.chicnova.com, leave me your registered email and the link of your favorite item. I became your follower on GFC. I have no Instagram and follow you on Fb instead. All done:-) Thank you for great giveaway! Hi! I did all 4 above and I can't decide between 4 shoes! neknud_naiviv@yahoo.com- that's the email i registered with! Great giveaway, thank you for your comment we're also running a giveaway would love it if you entered. Hi everyone! I'm Thu. Fashion, to me, is a form of creative self-expression where we use unique designs and fabrics to contour our figure. I love experimenting with different colors and textures and this blog is my way of expressing and uncovering my personal style. © Just Tututiny 2011. All images belong to THV unless otherwise stated. Simple theme. Powered by Blogger.